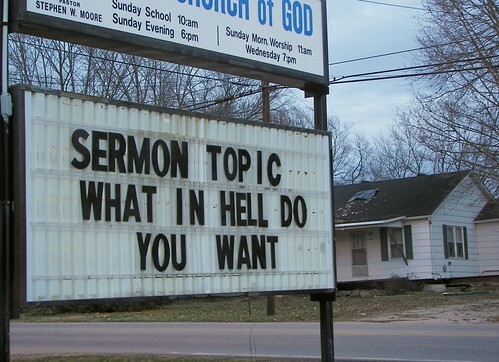 what in hell do you want, originally uploaded by *amalthea*. This is your one incredible life…what do you want from it; of it? In Keith Ferrazzi 's book 'Never Eat Alone' he states these five words are the most universally resonant words in the english language. In business we ask, 'What is your mission? In life we wonder, "What do you really want?" Seems to me this is the most important question I can ask you- The question that allows me a peek into your soul, into your heart – the question that helps me to know you- understand you. This question explains how you are YOU. It's your answer that help's me know how I can REALLY help you, what resources to connect you with, what team to refer you to and what information or support you need. What do you want to do with this one incredible life of yours? Want to save the world, get rich – find the love of your life? Something else got your attention…your passion? Hmmm… perhaps this question makes you uncomfortable, good. Life is too short to be comfortable. Now back to the question at hand. What are you doing with one incredible life of yours and what do you really want? NOt sure- good then it's time to take some wilderness time; time to take a time out, increase the margin and white space in your life, to reflect on where you are and what you really, really want. What are you doing with this one incredible life of yours?